Home is where the heart is, and for Darrell Harden, Kansas City’s East Side is home. KANSAS CITY, Mo. — Home is where the heart is, and for Darrell Harden, Kansas City’s East Side is home. It’s a community Harden said has changed over the years. 41 Action News caught up with him outside the Sun Fresh on Prospect Avenue in KCMO, just days after a gunman walked into the newly opened grocery store and shot two people. Harden said disagreements were handled much differently when he was growing up. Councilman Scott Taylor is proposing an initiative he said should help reduce crime and restore the community. Taylor’s Revive the East Side initiative aims to be a $10-million economic jolt. And since nothing stops a bullet like a job, Taylor said once the plan is in motion, it could tackle a lot of the root causes of crime on the city’s east side. 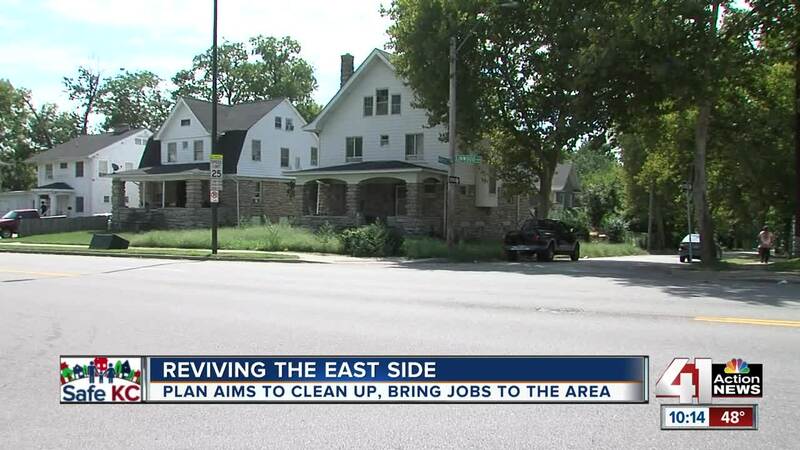 The initiative includes the "East Side Investment Zone", which runs between 4th Street and 95th Street, Troost Avenue and the city's eastern boundary. If approved by city leaders, the Revive the East Side initiative would create tax credits for business owners to set up shop in the area. There are also incentives for hiring workers who live in that community. “You also need the surrounding neighborhood to benefit,” Taylor said. The proposal will also improve trash collection in the area and establish a $10-million home improvement fund, so homeowners won’t have to look at boarded-up homes and blight, all breeding grounds for crime. Taylor points to the success of recent investments in Downtown Kansas City, the West Bottoms and River Market. Harden said this would mean the world to him if it’s enacted and successful.